Are you in need of a break from your hot summertime baking? If so, here’s a quick and easy super delicious dessert to impress your family — no oven required! And yes, I’ve said it before, I’m not a big pie loving person, but give me something that’s got creamy chocolate and a cookie crust, well, then I’m hooked. And even better, it goes perfectly with my no-bake summer theme. 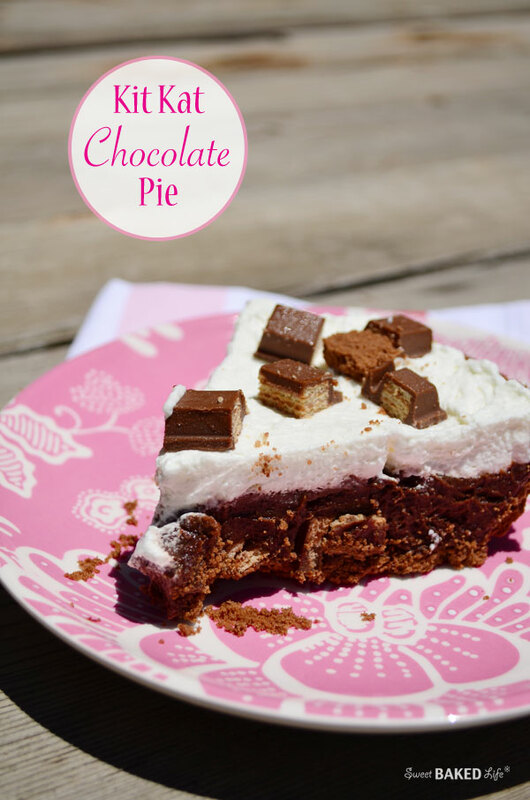 This Kit Kat Chocolate Pie is truly heavenly! It’s light, fluffy and has that special bit of crunch from my families favorite chocolate wafer candy bar! You really should indulge your friends and family alike with this cool pie on a hot summer night! Give them the break they deserve! In a large bowl of an electric mixer with a whisk attachment, pour the heavy cream and beat on high until soft peaks form. Add the sugar and vanilla and continue beating until stiff peaks form. Set aside until ready to use. In a separate large bowl beat the milk and pudding mix with whisk for 1 minute. Note, mixture will be very thick. Add half of the whipped cream and mix until well blended. Gently fold in 3/4 of the chopped candy and spread mixture into prepared crust. Top with the remaining whipped cream and sprinkle with remaining chopped candy. Refrigerate until well chilled and ready to serve. My family absolutely adores Kit Kat bars, so for them this was a winner! So give your family a break today with this Kit Kat Chocolate pie! 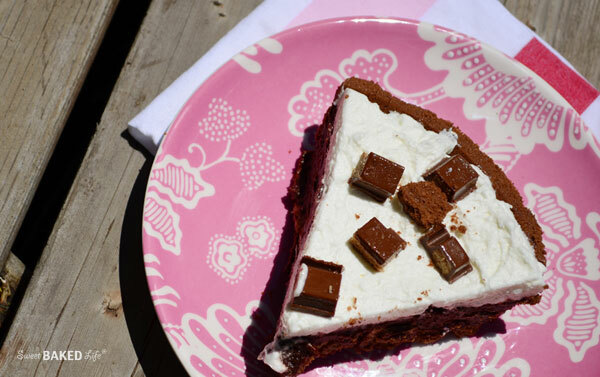 Kit Kats are my favourite chocolate bar so you’re amazing for putting it into a no-bake pie. Love.this.so.much!